You can block possibility to order selected product (or combination, attribute) for defined customer groups. You can set accessibility to a combination. you can define unique settings for each product. Moreover, you can define unique customer groups for each combination. 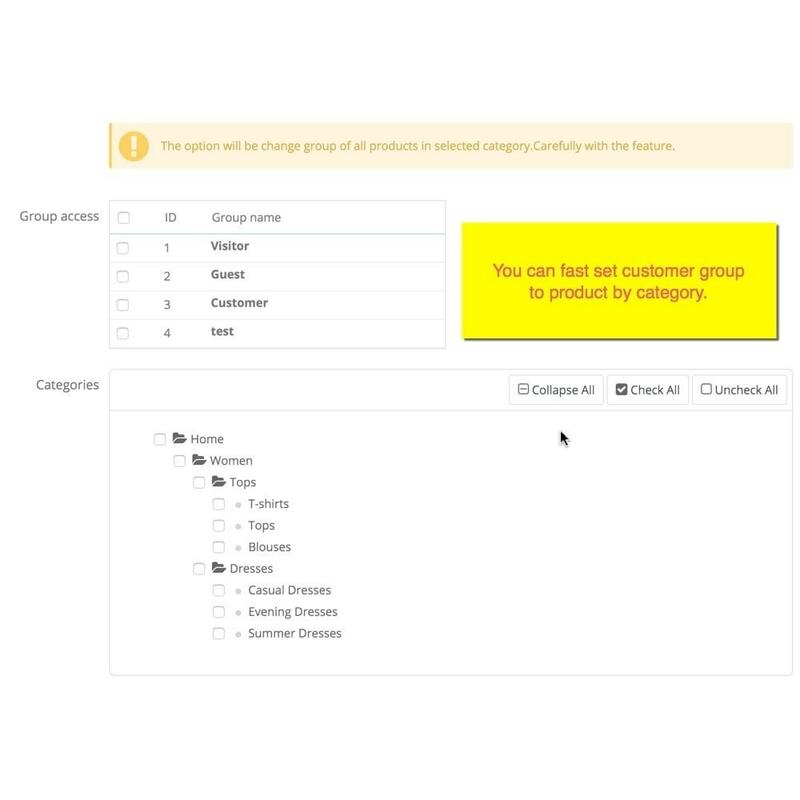 You can quick/mass set customer group to product by product category. 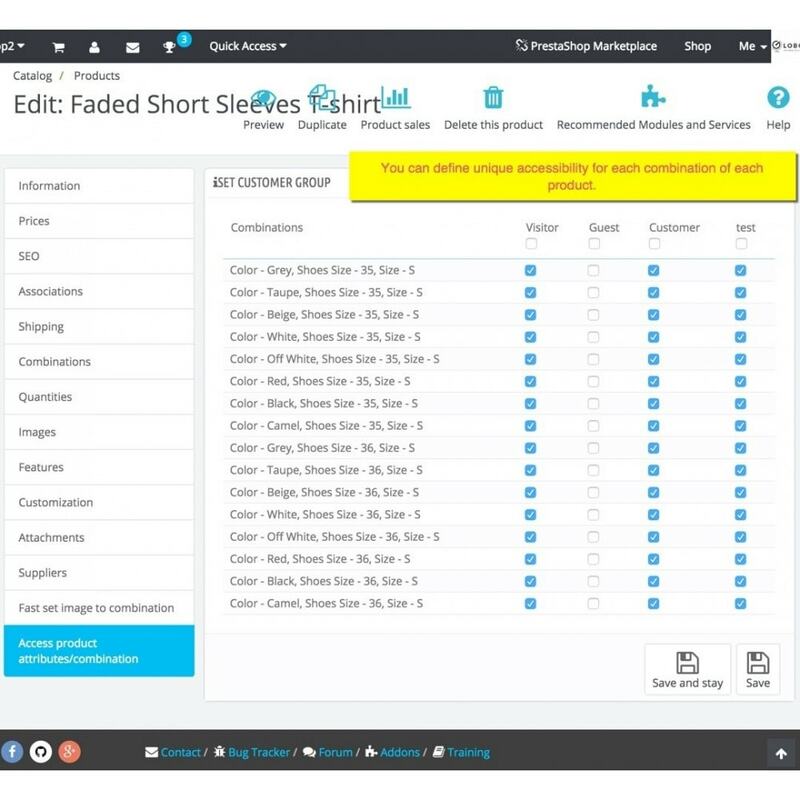 As a Shop Administrator, you can create special customer groups and set accessibility for some typical combination, product. The module will be useful to handle VIP customers, wholesalers , normal customer, guest. The module is very easy to install. You just need upload via Back Office. First of all, click “Add new module” at modules tab on back office. You will find it in the top right. After that, select packaged file you have downloaded and click “Upload file”. Now your module appears on modules list. Click on “Install”, and “Configure”. 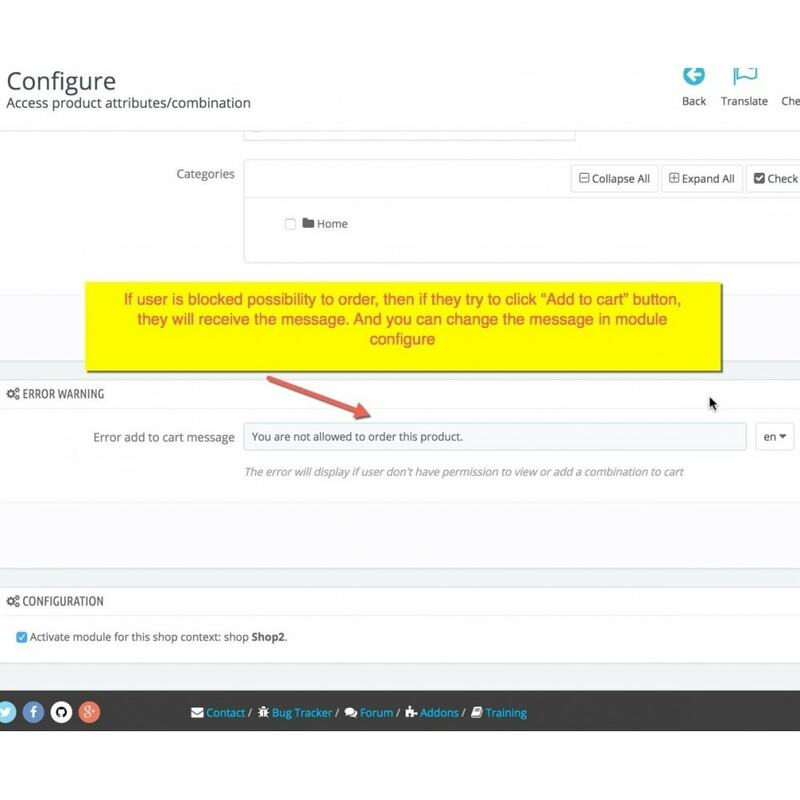 After install you can go to each product to set accessibility for groups of customer.